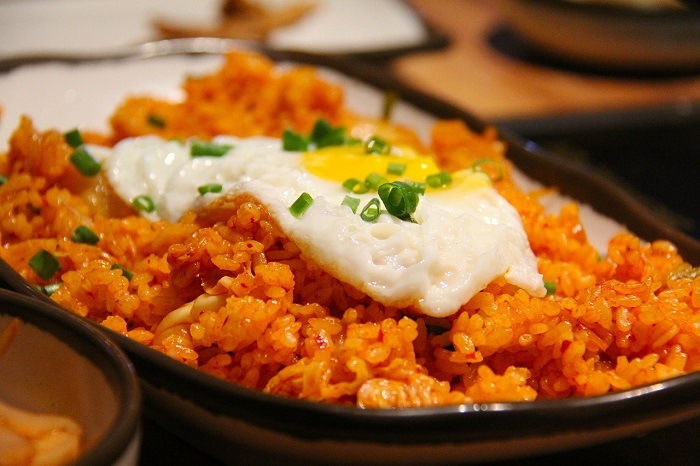 Korean food is becoming increasingly popular in the UK – particularly kimchi. What is it, and why has it become so stylish? 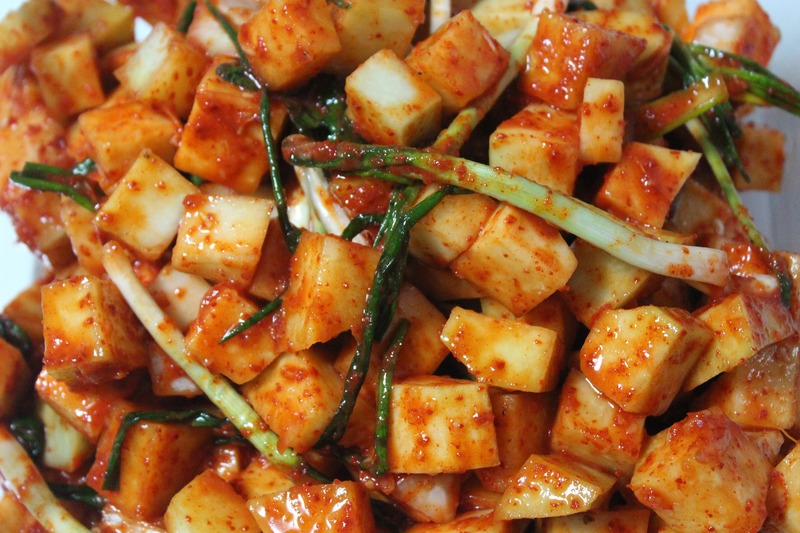 Kimchi – Korea’s national food – is a traditional side dish made with fermented vegetables and seasonings. The main ingredients are normally any combination of cabbage, cucumber, radish, and spring onions. In its earliest modern form it was made with only cabbage and beef stock until red chilli was introduced to Korea in the 1500s, after which the spice became a staple addition. Historical references to kimchi date back as far as the third century, though the dish was very different to what we know now. It was several hundred years before vegetation such as mushrooms and Chinese cabbage were introduced to Korea, at which point the basis for kimchi became a great deal more diverse. You may like: Gyoza and other Japanese snacks are hitting UK retail – but why? 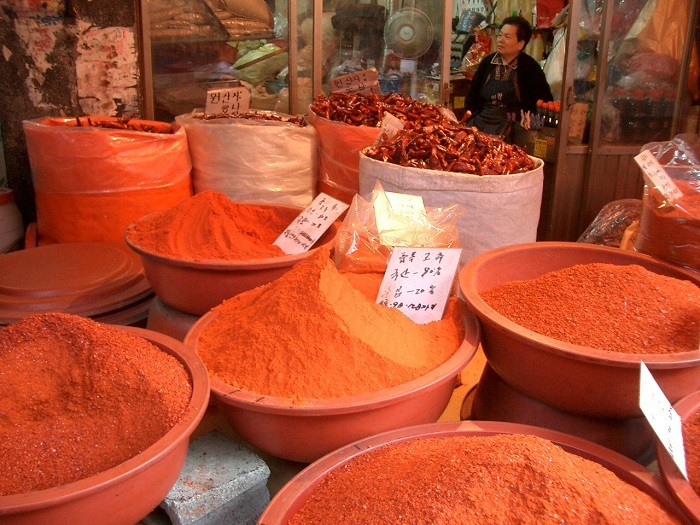 Traditionally, once the kimchi is mixed, it’s left to its own devices in containers stored underground for months until it develops its signature sour, spicy flavour. Why? Well, Korea gets cold. Seriously cold. Early Koreans struggled with food preservation during the winter, and the salting and storing of vegetables became a necessity. Now, however, you can skip the part where your best stoneware gets buried in the mud and stick to jars. Indoors. Mak kimchi, or ‘simple’ kimchi, is made by slicing cabbage into chunks and massaging sea salt into the leaves. The cabbage soaks in the salt for several hours, after which it’s thoroughly rinsed. Garlic, ginger, gochugaru (Korean red chilli), and sugar form a paste which is worked into the vegetables (radishes and spring onions are often added at this juncture). A splash of seafood flavour is added for umami. The mixture is then firmly packed into a jar until the liquid rises to the top and covers the vegetables. Here’s where the fermentation comes in. The kimchi is left at room temperature and checked once a day, pressed down to ensure the briny liquid remains at the top and gases can escape. How long the kimchi remains fermenting is entirely down to preference. Once it’s ripe enough for the maker’s liking, it can be transferred to the fridge, and even then it’s better to leave it another week or two. So much of the distinctive flavour of kimchi comes from this process, and it mustn’t be rushed. What with kimchi being a relatively simple side dish, there are really no limits as to what you can do with it. Throw it into a simple soup for heat and tartness, use as a relish at a barbecue, or add to a meatball mixture with noodles. Of course, there’s no shame in simply mixing it with your rice or enjoying it as it is. A wealth of uses: Kimchi can be served as a side dish, or as an integral part of a meal such as kimchi fried rice. Kimchi’s popularity in the UK is pretty easy to understand. Not only is it enormously good for you – packed with vitamins, antioxidants, good bacteria, and low in calories – but it’s an all-natural and simple dish to make at home. Fermentation is a natural process in a world where respect for ‘real’ food is at a high, and tolerance for processed food is low. It’s still new to us, so it’s exciting, and that makes it trendy enough; the fact that it’s a flavour bomb of health is a bonus. Kimchi may be an acquired taste, but its advantages make it worth a bite. For the authentic taste of Asian snack foods, check out Cafe Asia, now available in Iceland’s Food Warehouse. And sign up to our newsletter for regular industry insights and more.